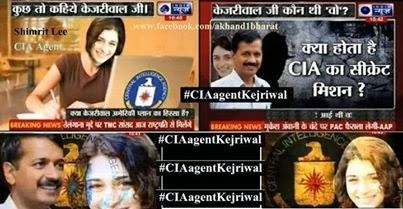 Is Kejariwal an American agent?-YES,CONFIRMED. AGENDA TO BREAK INDIA IS PLANNED Imran Khan+Prashant+Congress+AAP+AGNIVESH-Agenda of World Bank. It is surprising that AK was never transferred out of prime posting in the city of Delhi and when he was transferred for the first time to another lively city, Chandigarh; he proceeded on leave. He could remain posted in Delhi throughout his career defying service rules and this reflects that he was never a thorn to the corrupt persons. As an IRS, he himself admitted that he did not take bribe , but he maintained silence against his staff taking bribe. He also gave interviews during 2009 that he was offered bribes and thence he decided to work for transparency in the system. Mind it, not only transfer, AK never had to face any tough situation during his stint as Indian revenue service officer. 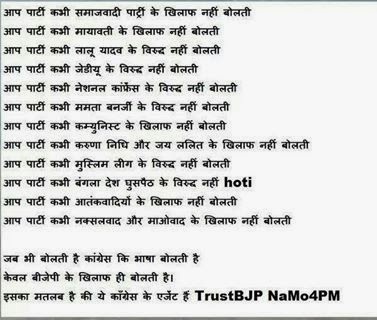 One can just contrast his case with case of Arun Bhatiya, G.P. Khairnar or recently Ashok Khemka who had to face 43 transfers in 19 years of service or CSS officer, Niraj Kumar who had to face 7 years of suspension and more than 15 transfers in his entire career of 15 years after being alleged to be the hand behind a website tehelka.com that exposed massive corruption in defence sector and for exposing CIA activities in India through Dutch NGOs, massive loot of funds in the name of Surrender Policy for militants, Freedom Fighter Pension scam, the secret killing in Assam etc. AK had a very smooth career. He qualified Civil services exam(1991) and was allotted IRS. He tried again next year , but again could not improve his ranking and joined as IRS. His service record was ordinary. This was equal to 15 years of his then salary. Arvind Kejriwal was elected to the Ashoka Fellowship in 2004.Here the candidate has to appear for interview once the applicant’s form is sorted out. Even though, he was already in the government service, he decided not to work for the country through the proper governance structure and opted out for this American Fellowship. Ashoka is not an Indian organization but an American registered 501c3 not-for-profit organization in the United States. Ashoka’s strategic partners include McKinsey & Company, Corporate Executive Board and Latham and Watkins. CEO of Ashoka is Bill Drayton who was an assistant Secretary of State in US and also worked with White house. 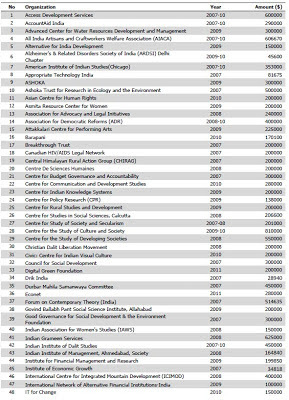 Ashoka though grants fellowship world wide but its main focus is on South Asia. When it was founded in 1982, 100% fellowship was given to Indians for next two years indicating the focus of the programme over India at the time when the US had decided to prop up jihadi groups in Afghanistan against soviet invasion. Mr. Kejariwal was always a khas admi for Americans since the time he was pushed into study leave and granted $80,000 in the year 2002 itself. The Income-expenditure Return of the Ashoka reveals how most of Indians wrongly believed that Kejariwal got some innocuous fellowship from some social group based in India.This too was part of US government' plan to rope in "own men" to counter Soviet influence since 1982. In February 2006, he finally resigned from the job, to work full-time at 'Parivartan' and Kabir. 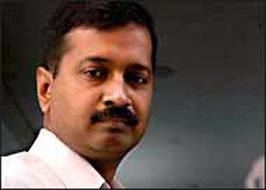 b) Joined the Indian Revenue Service (IRS IT-92069) in 1992 .
c) Date of Appointment to Group A- 5.9.1993.
e) Promoted as Joint Commissioner, IT on 26.3.2003.
f) Kejriwal again went on Extra-ordinary leave without pay in 2004.
g) Never posted out of Delhi. CBDT planned to give him posting to another urban centre, Chandigarh. His wife Sunita Kejariwal(IRS IT-93072) also never posted out of Delhi between 1995-2004 and then to Ghaziabad. h) He arranged a letter from Mrs. Sonia Gandhi, the then NAC Chairperson to PM and the Finance Minister to stop his impending transfer. i) Arvind resigned on 20 Feb 2006.
j) Resignation pending since he had gone on foreign training after signing a bond that he will serve the government for three years. k) Resignation accepted through CBDT notification dated 20.12.2011 w.e.f 20 Feb 2006 only after he paid dues of Rs. 9.27 lakhs. Same year he received Ramon Magsaysay Award for Emergent Leadership(2006). The guiding hand of Ford Foundation is behind AK’s every move since then. 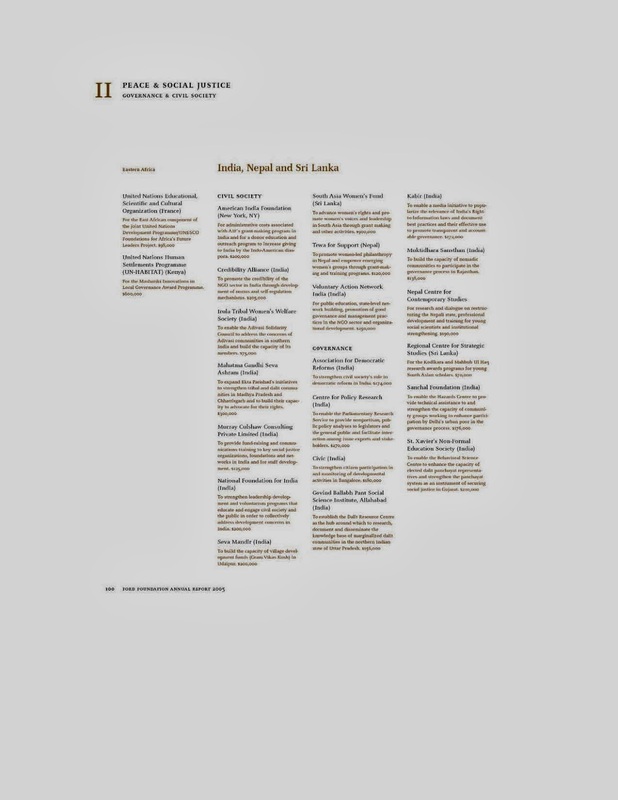 The Magsaysay Award for Emergent Leadership seeks to inspire young people to apply their talents and energies to selfless and innovative service in Asia; and this award category was exclusively created in 2000 with support from a Ford Foundation grant, and honors greatness of spirit among men and women forty years old and below. 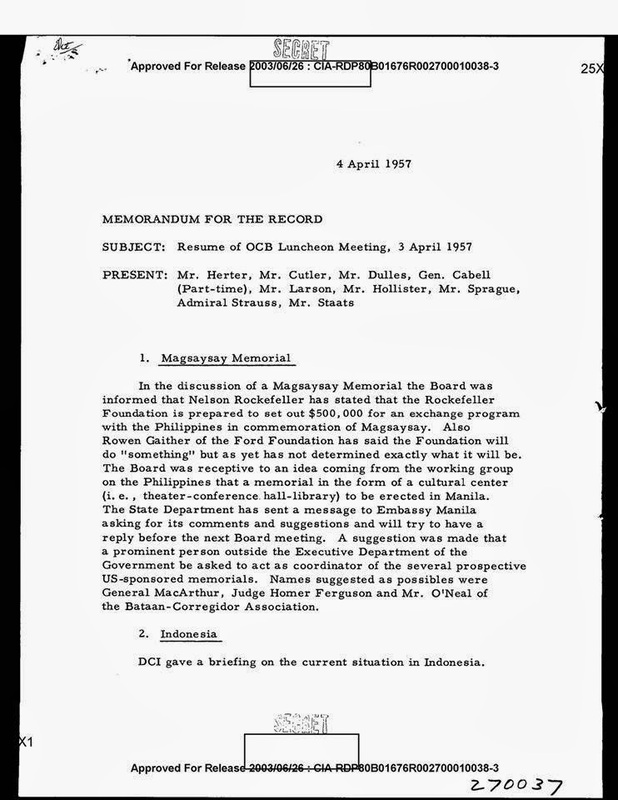 In fact Magsaysay Foundation itself was planned by CIA. This declassified document of CIA reveals the same. AK got this award of $ 50000 at the age of 38 and the citation does not reveal some significant contribution except the fact that under the aegis of Parivartana, AK and his team could settle 2500 cases of electric bills grievances. The Magsaysay awards in different categories are constituted by the Rockefeller Brothers Foundation and a substantial part of the cash component is funded by the Ford Foundation (FF). Surprisingly, it is the Ford Foundation only that was financing AK during the same period while AK was also working in the Government of India. Even in the citation of the Magsaysay award to Kejariwal, was it a happy coincidence that the first reference was made to the Central Intelligence of America(CIA)(http://www.rmaf.org.ph/newrmaf/main/awardees/awardee/biography/141). Later, AK who had founded another organization , Kabir, with Manish Sisodia in August,2005, became a poodle conduit for the Ford Foundation-Dutch and other active American interests in India. . While on Study Leave and taking full salary, started Parivartan along with Manish Sisodia in 2000 for RTI campaign. As on March 10,2009, Parivartan is not an NGO or registered under any Act of Governments in India. Parivartan is a Delhi based citizens’ movement trying to ensure a just, transparent and accountable governance. Is a people’s movement for reinforcement of democratic values. Parivartan is not registered under any Act as a society or a trust or a Company. It is a people’s movement. For Income Tax purposes, it is an Association of Persons. 3. But then Parivartan did receive World Bank Project without being covered under any Indian Act? Has Kejariwal disclosed it anywhere? Parivartan is a society registered under the Societies Registration Act of 1860 in the name of "Sampoorn Parivartan". 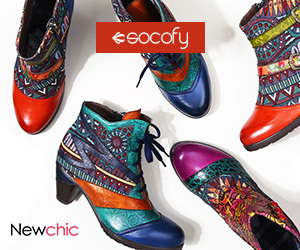 It is a non-political, non-profit making voluntary organization. It does not charge anything for services rendered and runs on voluntary donations and services offered by individuals and organizations interested in promoting its ideals. All donations made to Parivartan are tax exempt under section 80 G. Parivartan is also registered under section 12A of Income Tax Act. 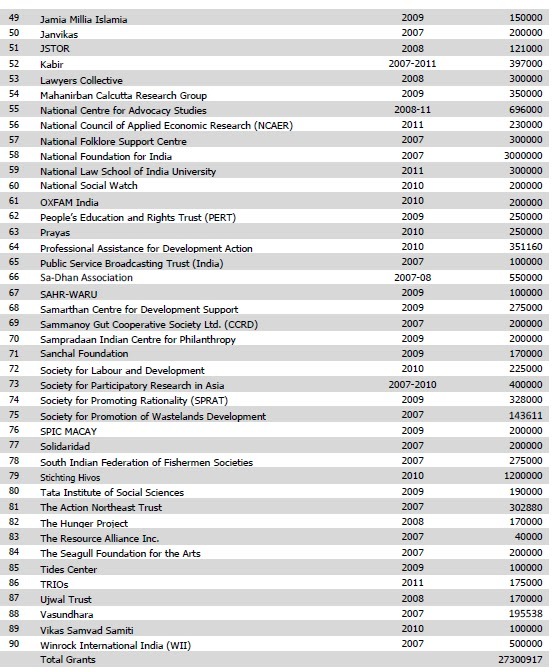 (Ford Foundation Annual Report 2002 with details of grants for Sampoorna Parivartan) NGO Kabir spun off from Parivartan and began operations on August 15th, 2005. This is stupendous feat of award disbursement that the donor turns into the awardee for its own beneficiary. Everything seems to be premeditated and made out to launch “own men” in Indian public sphere. 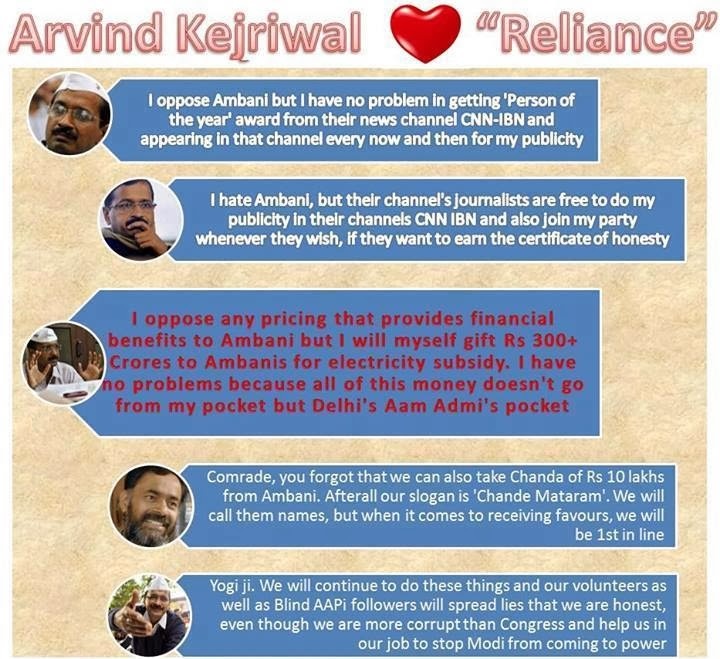 AK became a Ford Foundation- created “important man”. 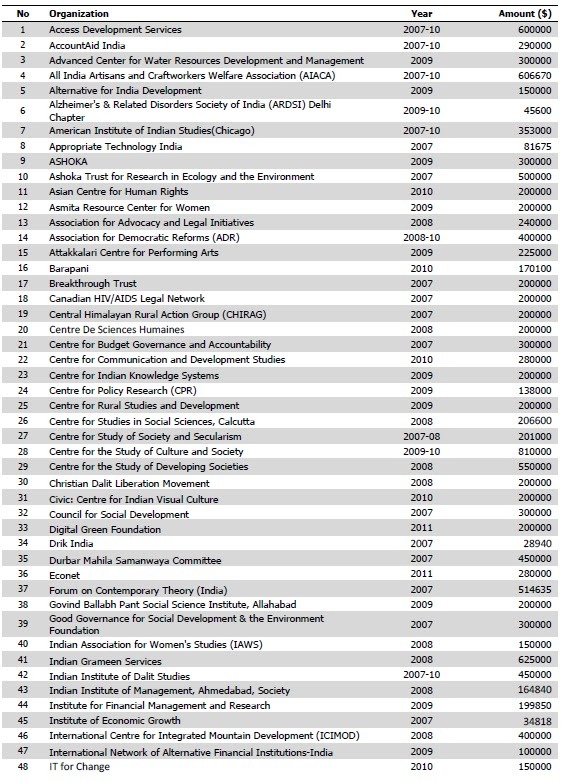 What is surprising that Kabir claims to be transparent , but has not made public its foreign grants for the year 2008-9. The search at the site returns “failed’ report http://www.kabir.org.in/indexx.htm . But, the Ford Foundation site reveals it all. Kabir was given a grant of $1,97,000 in the year 2008. http://www.fordfoundation.org/grants/grantdetails?grantid=107117.The study of reports on the Kabir's website sow that the next year also they received Rs. 6075149 in the year 2009-10. But the details have been hidden as Annexures not made public in the name of transparency. 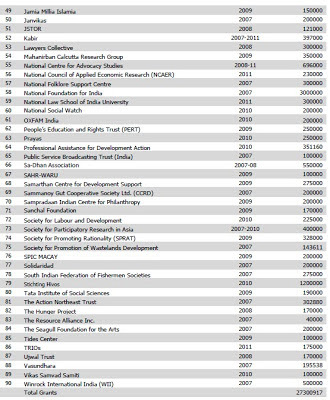 We have the later detail of $1,97000 on Ford Foundation website for the year 2011. But as per the FF Representative, the Kabir did not take this year fun as they were involved in political movement of Jan Lokpal bill. On 19th December,2006, Kejariwal formed a trust, Public Cause Research Foundation(PCRF) with Rs.1000/- from Magsaysay award vide Cheque No. 36110 dated 20 Dec. 2006 , with himself as main Trustee, Manish Sisodia and Abhinanadan Sekhari. But, PCRF was not doing much work. And it was under the aegis of Kabir that all activities were being carried out. A NY University mysterious researcher Shimrit Lee visited Kabir and prepared a report, Public Power: India and Other Democracies (2010). She assisted in Kabir's campaign for the Right to Information and Local Self-Rule. Nowadays, she is actively working in Egypt. Ms. Shimrit lee is mysterious . 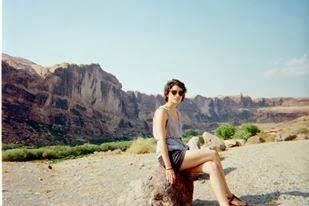 Ms. Lee has been active in Cairo and Haifa, Chad and Israel, India and US... who is she? Visual anthropologist? Human right activist? Fund manager? International strategist? . It was she who was instrumental in inspiring for public power and idea like mohalla committees. Exactly, who is she needs to be deeply probed and why did US invest so much with AK- money, award , ideas and human resources? In a way, foreign organizations were funding him, assisting him with think tanks and also awarding him while he was still in the government service. 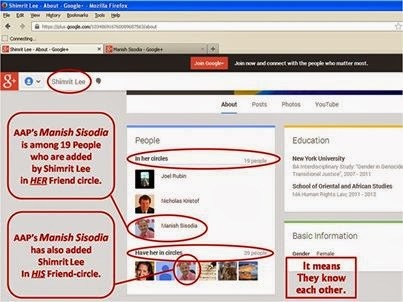 Ford Foundation India Representative Steven Solnick has on record admitted on 31st August,2012 that Foundation’s last installment to Kabir was in 2010. “Our first grant to the NGO was of $1,72,000 in 2005 ; the second was in 2008 of $1,97,000,” and that Magsaysay award for emergent Leadership was also funded by them. (MysteKabir was raided by the Union Home Ministry officials for a suspected violation of Foreign Contribution Regulation Act (FCRA) on 22nd August,2012 pursuant to the Court Order.the report of inquiry has not been made public. If the report is impartial, many irregularities will be found , enough to prosecute two con-men whose arean has now grown from Sundarnagari mohalla in Delhi to now the whole of India. But, more curious is the fact that Kabir has been directly funded by the Dutch Embassy. The amount made public is merely the tip of the iceberg. When embassies can come out openly with funding an individual or organization, one can see the confidence and brazenness of the powers which are pushing Kejariwal for their own strategic game in India. Why is Dutch embassy funding Kejariwal?Who are HIVOS? What is the connection between HIVOS ,Kejariwal and the Ford Foundation? Recently, the Pioneer reported that Humanistic Institute for Co-Operation with the Developing Countries (HIVOS) has given more than 13 lakh Euros (approximately `9.25 crore) to various NGOs in Gujarat between April 2008 and August 2012. The prominent among them are: DISHA (2,24,000 Euros), GKVP (2,07,000 Euros), SAFAR (1,84,000 Euros), MAHITI (1,04,000 Euros), SWATI (85,000 Euros), and UTHAN (63,000 Euros). HIVOS has also funded various NGOs in Mumbai and Delhi. Mumbai-based Citizens for Justice & Peace (CJP), run by Teesta Setalvad, and Delhi-based ANHAD, run by Shabnam Hashmi, 4,000 Euros. Hivos also funds Kejariwal’s Parivartana. Then there is PSO Association which was founded in 1985, to facilitate the posting abroad of professionals in the context of development cooperation. The name refers to this main activity: Personnel Cooperation in Developing Countries (Personele Samenwerking in Ontwikkelingslanden). PSO is directly funded by Dutch Ministry of Foreign Affiairs. PSO which is an association that consists of sixty Dutch development organisations including Hivos and which receives 27 million Euros annually for its activities from the Netherlands government is a funding partner of PRIA, who in turn is also a Ford Foundation partner. Another PSO partner- Soliaridad also funds PRIA. 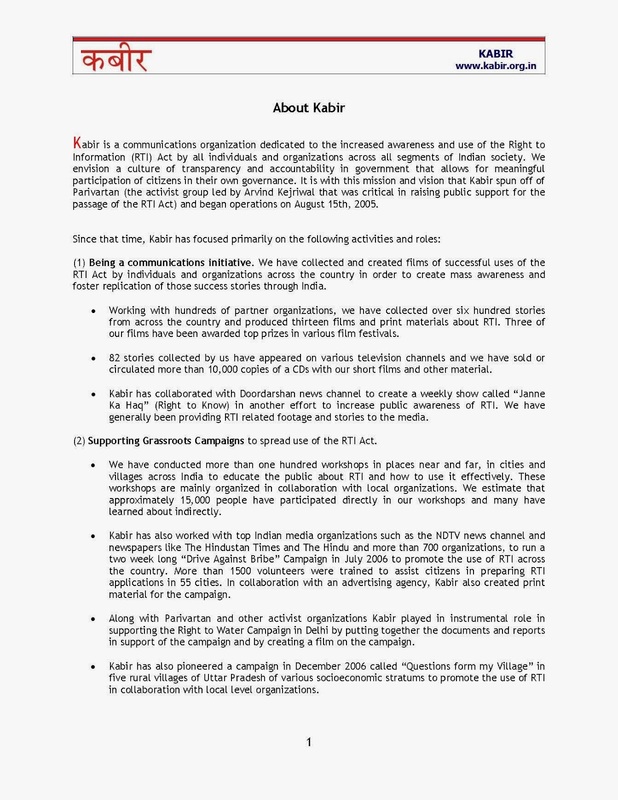 , PRIA funds Kejriwal’s Kabir, which is a Ford Foundation recipient. Thus, the whole nexus of Dutch NGO, Ford foundation, Dutch government, Kejariwal and recent attempt of creating a Tahrir-like condition in India lies unraveled. Now PSO is winding up after so many complaints from many countries for their intrusive activities. PSO’s General Assembly has decided in 2011 to liquidate the Association as of 1st January,2013. The Dutch development NGO Hivos has collaborated with International Institute of Social Studies, The Hague , also part of Erasmus University, Rotterdam specialized in “policy-oriented critical social science”; over the past five years on knowledge related to civic action and civil society building. The collaboration between an academic institute and a donor NGO is meant to study the Hivos’ mission in developing world. Dr Kees Biekart of ISS is coordinating the programme. Capacity development emanating from ISS addresses social movements . the social movement in Georgia under the caption of Rose Revolution is overseen by a South Asian , Dr Sunil Tankha . PANOS South Asia is another organization registered in Netherlands with registration number 27355408. PANOS South Asia has now 7 offices in south Asia. The Dutch project gets Ford foundation grants and "media in South Asia" is their primary area of focus. So, the activities of the FF-Dutch funded organizations and individuals will be highlighted by the complicit journalists in media. It is known that in India, a CBI case was registered against tehelka.com and officials of Home Ministry for unraveling the nexus of CIA activities through Dutch NGOs in the year 2000 itself. The case under the stringent Official Secrets Act is still under trial while the Indian government let the Dutch NGOs and the FF to have complete control over civil society in the intervening period. The official, Neeraj Kumar, who is credited with bringing the attention of the government towards this nexus and the manner in which Dutch NGOs were funnelling foreign government money to Indian organization for ulterior motive, was kept under suspension for more then 6 years and hounded by the agencies. 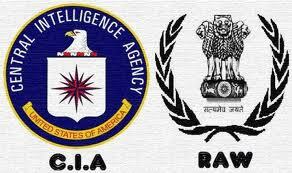 The documents reveal that the government of India was convinced way back in 1999 that “with the end of Cold War, the CIA has intensified using Dutch sources for supporting secessionist and subversive activities in India. And that there is “ covert strategic alliance between US and Dutch agencies”. But, how did the government allow Dutch Embassy to fund Arvind Kejariwal directly , reveals chinks within the armor or the penetration of Indian agencies by the CIA. Rabinder Singh(former Joint Secretary in RAW) episode is still fresh in our mind when the US Embassy provided the RAW mole an American passport in an undiplomatic and brazen way. Western powers have made umpteen efforts to not let Asian countries reap the benefit of higher technology. The US had been smart enough to engage in ‘policy of congagement” vis-à-vis emerging powers. They engage with the emerging power like the hub and the spoke and on the other hand engage in policy of off-shore balancing at different level. The emerging powers have to be contained by the second most powerful regional actor. While at the trans-regional level, it maintains a balance of power among various regional powers by excluding itself so that it remain the arbitrator of the global order. The weak NATO states have always been the carrier of the containment strategy in the name of human rights or insufficient democracy and now the hoax of technology threat. One must remember how it was the Americans and the Dutch who connived to let Khan steal nuclear secrets from URENCO . The Dutch internal agency, BVD and the Americans wanted to help Pakistan to build nuclear weapon as they wanted Pakistan to be a regional balancer against India during Cold war. The American –Scandinavian-Dutch connection to derail India’s nuclear programme as is happening in the Koodankulam protest and significantly pointed out by the Prime Minister himself, and to help build a nuclear counter weight against India has a long history. Earlier also, the siphoning of fund from the Churches to the militant groups in the North east India surfaced in the year 1999 when the Ministry of Home Affairs held a meeting with various intelligence agencies and different Ministries to ascertain the level of covert support that may be coming to these insurgent organizations through Dutch NGOs. It was observed in the meeting that USA may be promoting non-American NGOs to camouflage its own interests. Dutch missionaries were found active in Tripura without having any permission from the Indian government. A Dutch NGO, NCIP(Netherlands Council on Indigenous People) was found providing ample support to various outfits like ULFA, NSCN(IM) on international fora. Since, most Dutch NGOs were found directly funded by their government, so it was possible that the funds that trickle down to the militant outfits have their source in the western government. That time, the IB tried to scuttle down the government move by claiming that IB did not have any specific report or indication of Dutch NGOs or individual involved in activities which could be against India’s national interest. One of the close Indian associates of NCIP/NCIV, Ms Maria Mangte who used to frequent across Netherlands, Thailand, North East India and Burma left India and obtained a Dutch passport when the matter of Dutch support to insurgent groups was entrusted to the federal investigative agency. With the lethargy taking hold, the programme of external powers to sponsor anti- Indian movements through the church and the NGOs continued unabated. The diffidence of insurgent groups within India grew manifold. When on 17.7.2002, in a reply to the starred question in the Parliament, Late Digvijay Singh,the then Minister of State for external affairs gave a written reply naming Netherlands as one of the country where terrorists have based their activities besides Pakistan; all hell let loose. (Lok Sabha Starred Qustion No. 46, 17.7.2002). NSCN(IM), the most formidable insurgent outfit in the North East India attacked the Indian Minister for targeting Netherlands. The Minister retorted by taking a potshot that when the name of Netherlands was listed, why should it pinch the NSCN(IM). NSCN(IM), in fact, displayed its affiliation openly by turning into mouth piece for Netherlands. There are known reasons for holding Naga Peace talks either in Amsterdam or in Bangkok. pattern in the games that it play vis-à-vis India and Pakistan; Russia and Ukraine; China and India; China and Japan; Turkey and Iran. While at the trans-regional level, it maintains a balance of power among various regional powers by excluding itself so that it remains the arbitrator of the global order. The weak NATO states from Northern Europe like Norway, Sweden, Denmark & Netherlands have always been the carrier of the containment strategy in the name of human rights or insufficient democracy and now the hoax of threat from technology to ecology. Almost at same time, a former Dutch premier Dr Ruud Lubbers in an interview to a Dutch radio, VPRO Argos Radio on August 9, 2005, admitted that the Dutch internal agency, BVD and the Americans wanted to help Pakistan to build nuclear weapon as they wanted Pakistan to be a regional balancer against India during Cold war, since India was closely associated with the Soviet union. The American –Scandinavian-Dutch connection to derail India’s nuclear programme and to help build a nuclear counter weight against India has a long history preceding Koodankulam. The BVD is a unique intelligence agency since though it is the internal intelligence agency, it undertook oversea operation on behest of the CIA . The Dutch external agency, IDB was officially disbanded in 1994 and the BVD became further strengthened with formal and technical strengthening after the end of the Cold War through the WIV Act, 1992. Since, the Dutch lid was taken off in India in 2000 when the Dutch role in aiding and abetting inimical forces within India was exposed by a website, tehelka.com, the baton passed to other neighboring Scandinavian countries like Sweden,Norway and Denmark for strategic deterrence and the Dutch focused on massive Georgia or Egypt –kind of conditions in India. This is meant to derail India’s peaceful rise. CIA in its assessment for 2025 has put India and China as the US competitor. For the US agencies, peaceful rise of both Asian giants has to be subverted at every cost. Interestingly, the Indian government filed cases against the website under stringent law of Officials Secrets Act upon the request of the then Dutch Ambassador, Peter Koch. Neeraj Kumar, the young officials from the Home Ministry , who exposed the CIA-Dutch nexus and their activities, continue to face prosecution and vendetta. Emboldened by the silencing of the voices, the Dutch , though stopped the funneling of money, turned into conduit for autonomy and anti-state ideas while NGOs and organizations from other Scandinavian countries involved more extensively with the funding of missionaries and Indian NGOs ready to toe their line which in turn stir up anti-Indian sentiments and agitations particularly in the territorial margins, in North, East and southern India . William Van Schengel, a Dutch Professor of AmsterdamUniversity floated the idea of Zomia to describe the people of the adjoining hill-region in North-east India, China and Myanmar, Bangladesh Thailand in 2002. The concept of Zomia is derived from zomi, a term for highlander among Chin-Mizo-Kuki languages spoken in Burma,India and Bangladesh. Very soon, it has become a geopolitical tool The idea of ‘zomia’ is circulating and being discussed after publication of prize-winning book by James C. Scott, “The Art of not being Governed:An Anarchist History of upland Southeast Asia(Yale University Press,2009). Scott is Sterling Professor of Political Science and Anthropology at Yale University. With the rise of India and China as the great Asian powers in this Asian century, the western think-tanks as well as strategists are worried and fabricating every possibility to weaken these core states of Asia. Since, by promoting Zomia as the stateless, ungoverned, romantic geographical as well as historical space, a powerful movement can be unleashed creating a shatter-belt across Eurasia that can make both India and China to engage against frontier-enemies with perceived trans-border support. This can derail any approaching accommodation between two Asian giants India and China and China-ASEAN nations. The author gave a thumbs up to Schendel for proposing Zomia, as a transnational area that is marginal to all the states that nominally control it. He further writes, few things unite Zomia , except its diversity — religious, ethnic, cultural, linguistic —born of Zomia’s geographical character, dominated by the inaccessible Himalayan highlands and Tibetan plateau. Zomia is a sanctuary, a refuge for isolated, unassimilated communities. 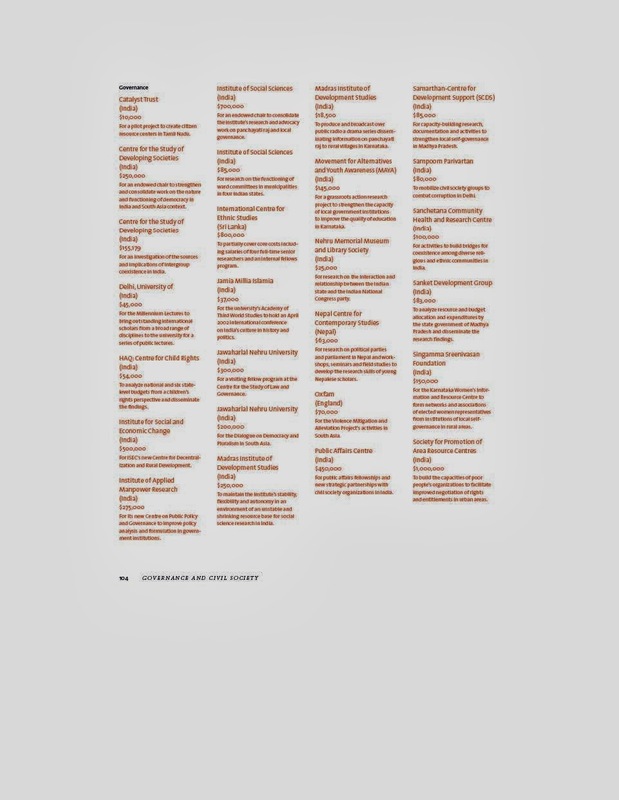 To give a shape to the concept of Zomia, another Dutch NGO Kreddha launched a program in 2005 to undertake systematic research with the aim to have available practical and current information on a growing number of autonomy and self-government arrangements in different parts of the world. Kreddha’s research and analysis department laid the foundations for the task and started researching autonomies in the Asia-Pacific region. Kreddha claims that their information is available to parties, facilitators and practitioners involved in other intrastate peace processes. Thus, Kreddha’s aim and objective have been to deepen autonomy and self-government arrangements, in particularly Zomia as evident from their further activities. Its executive President Michael van walt van Praag, a Dutch citizen sought a formal role in the Naga peace talk in March,2007. Armed with the Dutch machinations in past, the Government of India tersely refused the demand. But, the recent moves suggest that there is more to come in coming days. The Dutch have diversified their anti-India activities from North east to south India, Gujarat to Bihar and also created an alliance of NGOs toeing the American agenda and disrupting the centre from the metropolitan cities like Delhi, Mumbai, Bangalore, Pune. Is Ford Foundation, CIA’s conduit in Developing world? The Ford Foundation was created in 1936 . Henry Ford, himself was anti-Semite who admired Adolph Hitler and helped finance his rise to power. The CIA-Ford Foundation collaboration began in 1953, when John McCloy, became the Director of the Ford Foundation. McCloy’s earlier served as chairman of Chase Manhattan Bank, Westinghouse, AT&T, Allied Chemical and United Fruit Company. Thus, Ford Foundation’s complicity with corporate cartel is manifest from very belonging publicly advocated for the Ford Foundation to cooperate with the CIA. McCloy also chaired a three man committee that had to be consulted every time the CIA wanted to use the Foundation as a pass-through. 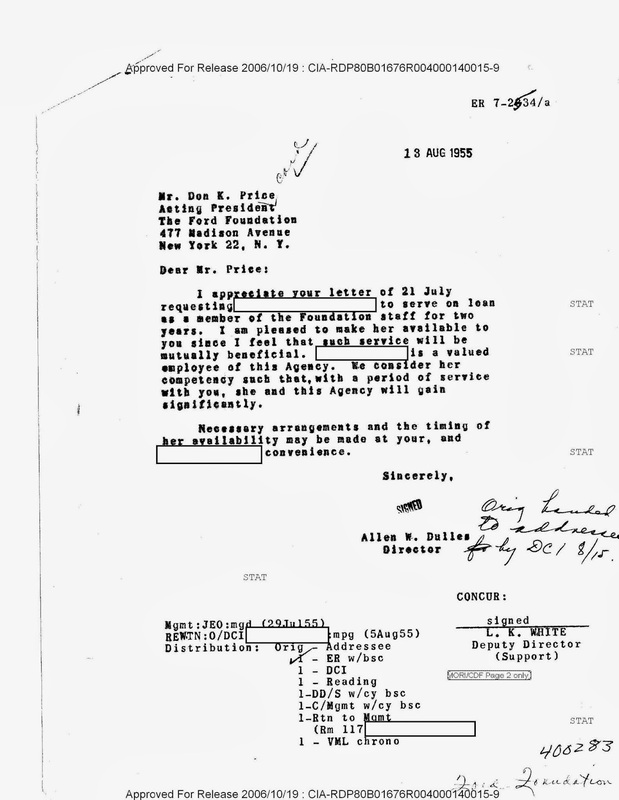 Ford Foundation archives have been studied by scholars that reveal series of joint Foundation-CIA projects. 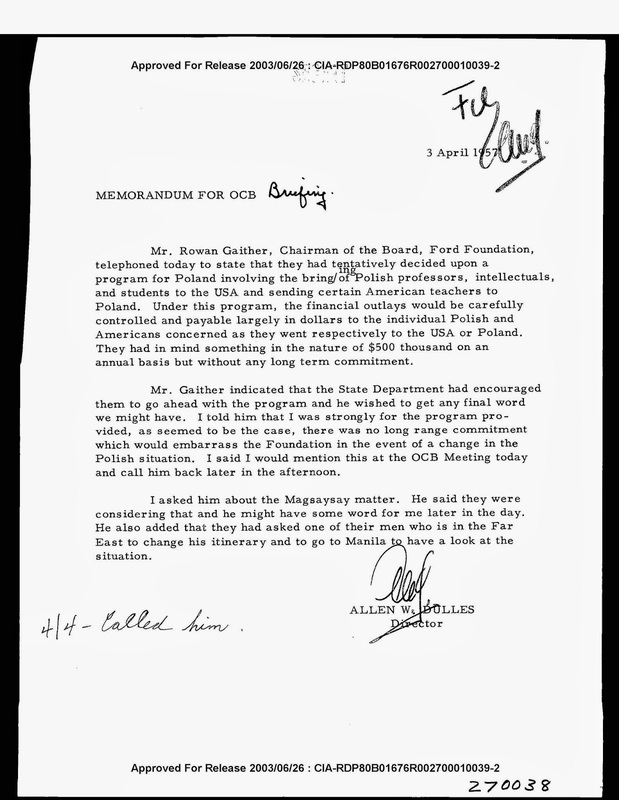 The most prominent of these CIA fronts are the Eastern European Fund, the Congress for Cultural Freedom, and International Rescue Committee .The Ford Foundation has also been the primary funding agency of the Council on Foreign Relations that published the influential journal, Foreign Affairs, and the Trilateral Commission. 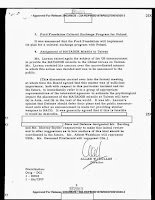 I am publishing one of the documents of CIA which shows how CIA loaned officials to Ford foundation. even there was lot of deliberation over officials of CIA who retired from service and their pension has to be fixed while they worked full time in Ford foundation. 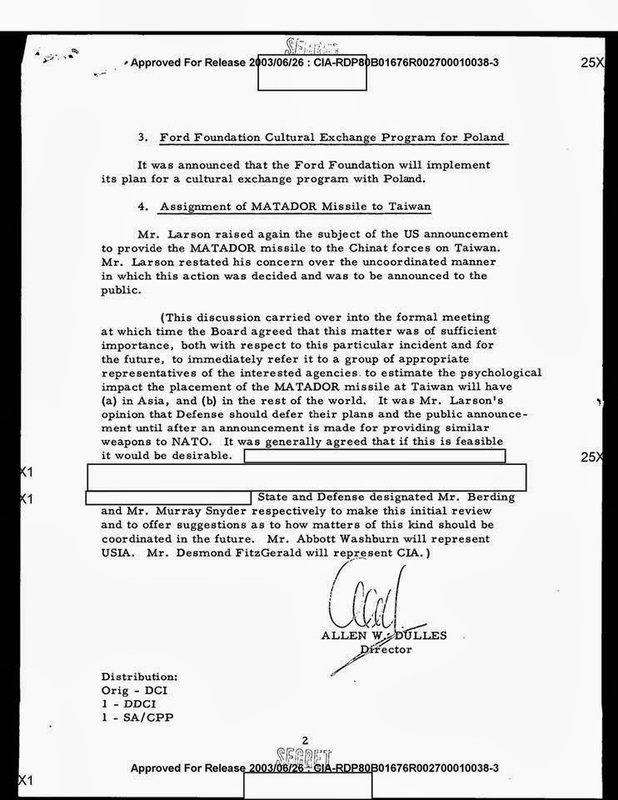 the loaning of CIA men and women to ford foundation was meant to be mutually beneficial to both parties as per this communication at the highest level. Frances Stonor Saunders, in his book Who Paid the Piper? The CIA and the Cultural Cold War, Granta Books, 1999) Saunders reveal that “from the early 1950s to the present the CIA's intrusion into the foundation field was and is huge. A U.S. Congressional investigation in 1976 revealed that nearly 50% of the 700 grants in the field of international activities by the principal foundations were funded by the CIA” ( pp. 134-135). The CIA considers foundations such as Ford "The best and most plausible kind of funding cover" (Ibid, p. 135). The collaboration of respectable and prestigious foundations, according to one former CIA operative, allowed the Agency to fund "a seemingly limitless range of covert action programs affecting youth groups, labor unions, universities, publishing houses and other private institutions" (p. 135). The Ford Foundation’s New Delhi office, "was the Foundation’s first program outside the United States, and the New Delhi office remains the largest of its field office operations". Delhi office also covers Nepal and Sri Lanka. James Petras Professor (Emeritus) of Sociology at Binghamton University, New York and a world-renowned author on globalization and US hegemony wrote a masterly piece in Dece,ber, 2001, “ the Ford foundation and the CIA: A documented case of philanthropic collaboration with the Secret Police”(15 December,2001) detailing the modus operandi. 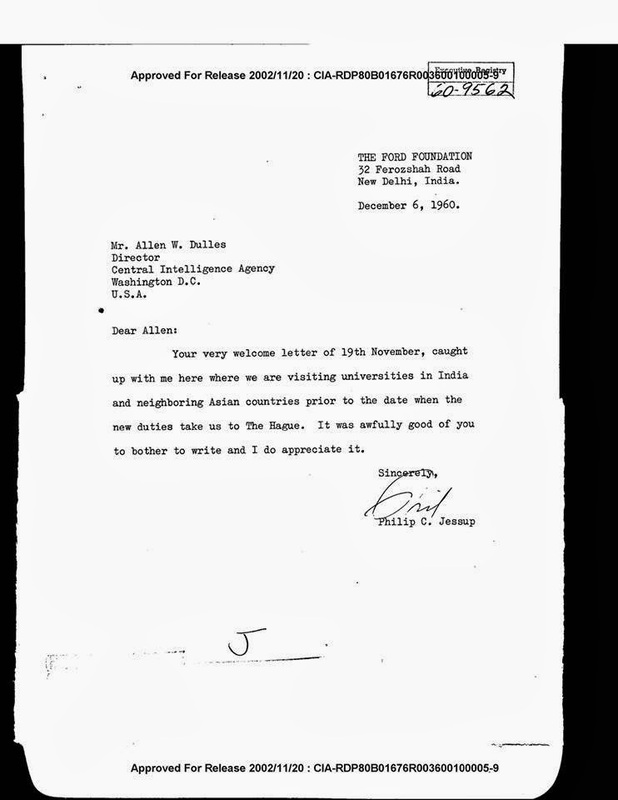 Herein is a declassified document from CIA that exposes how Ford Foundation in Delhi worked for CIA for an eye on Asia and their mutual meeting ground even at that time was Hague in the Netherlands. NR Narayana Murthy is one of the Trustee of the Board of Ford Foundation. .It is also well known that Murthy savors dream of becoming President of India and many mouthpieces did pit his name this time too.No surprise, Infosys man V. Balakrishnana has joined AAP now and another Infosys man, Nandan Nilekani who heads the UIDAI programme is suspected to have compromised the phone data of Delhi electorate gathered during unconstitutional and non-statutory exercise of making Aadhar card, for benefiting the AAP campaign in Delhi. Former Admiral L. Ramdas (1990-1993) was awarded the Ramon Magsaysay Award for Peace and International Understanding 2004 for "reaching across a hostile border to nurture a citizen-based consensus for peace between Pakistan and India".. Now he is chairing organization of Indo-Pak relationships, Pakistan-India Peoples' Forum for Peace & Democracy. He also leads the bandwagon of those who opposes India's nuclear programme. On 16 November Arvind Kejriwal filed his nomination from the New Delhi Assembly constituency accompanied by his father Gobind Ram Kejriwal, mother Gita Devi and former Naval chief Admiral L. Ramdas. Again, while seeking people's trumped up support for forming the government, Kejariwal was accompanied by Admiral Ramdas. Current Representative of Ford Foundation, Delhi office is Kavita N. Ramdas. She is the eldest daughter of Admiral L. Ramdas, also a Magsaysay awardee like Kejariwal. Kavita Ramdas is married to Mr. Zulfiqar Ahmad from Pakistan who worked as South Asia program officer for Berkeley's Nautilus Institute. No surprise if AAP leaders have started talking of referendum and plebiscite in Jammu & Kashmir. The hands are soaked in dollar and criminality.AAP formation has been made directly under the patronage of ord Foundation through Ramdasses-. How active FF has been in South Asia in recent years can be gleaned from the fact that Dr Gowher Rizvi , the former representative of Ford Foundation's Delhi office is now the Adviser of Bangladesh's Prime Minister on international affairs.This is how Ford Foundation is directly monitoring South Asian politics on behest of the Big Butcher of Korea, Vietnam, Iraq. Thus, PRIA-ADR-Kabir-India Vision Foundation- Anahad…ad infinitum are like intricate web weaved by the FF-Dutch warp and woof to create a situation that India’s peaceful rise is disturbed. They might be intending that with the popular protests fizzling out over the issue of corruption; anti-imperial, anti-American protests would fail to garner steam at a time when the US has launched return to Asia strategy in the year 2010. Arvind Kejariwal is a small cog in this gigantic American intricate machine that has started rolling again in Asia to reassert imperial control through machinations. Kejariwal must be made to respond and come out clean as to his financiers-overt as well as covert- and their game plan.AK was propped up at a time when the issue of black money stashed away abroad was gaining upper edge in public discourse.It is through the Offshore financial centres that the globalization of finance operates and the hegemony of the US and its lackeys is perpetuated. By effectively downsizing BJP and Ramdev's campaign to bring back Indian money from OFCs, AK won accolades in the US administration. Moreover the US wants to stop Modi's rise since the equations have not been good with Modi. On the other hand, Modi has been held in high esteem in China and China has welcomed Modi four times and listened to him at the highest level. Modi has advised China to decouple from Pakistan to have a working relationship with India.If Modi comes to power, India and China will develop good neigbourly relationship and the US plan since 2009 to build Asian NATO with India as the linchpin of Asian Pivot, will crumble. US hegemony is Asia will end. For, US to remain a hegemon, rise of Modi to power has to be stopped. This is ow all Ford Funded persons and ford-connected Infosys persons have suddenly become active to give credence to AAP as a new party that can fan across those states in India where Congress and BJP are in direct fight like Goa, M.P. Gujarat, Rajasthan so that the tripolar contest can cut some of the BJP seats and even though NDA comes to power, the allies effectively cut down chance of Modi from becoming the leader of the country. UPA government is giving AK a free ride with expectation that in the next election, he and his network of US-Dutch funded Indian NGOs may tilt discourse of anti-incumbency. Their mission is to make the BJP , an opposition party get painted with the same brush as the Congress and the UPA. If the new party of AK could slice even 4-5 % of anti-incumbency vote, the swing from Congress to BJP can be thwarted and that might allow the Congress to retain power in some new permutation and combination.During 2009 Lok Sabha elections, Congress received 28.7% vote while BJP received 18.82%. The Congress had gained only 0.5% more than its vote in the year 1999, but it gained 91 more Lok Sabha seats in comparison with 1999. Even if the AK and his team duly funded with foreign money and supported by the Congress-led government and the agencies, receive 5% vote in the urban centres, it can affect the BJP's winnability which has support base more in urban centres. Political and electoral analysts like Yogendar Yadav would plan such a fortune for the Congress. Kejariwal himself is a scam and he needs to be packed up. Its the end of manufactured drama.